Mary Shelley wonders in “A Monster’s Notes’’ whether the creature she wrote about was hideous, beautiful, or both. I kept asking myself the same question about Laurie Sheck’s 500-plus-page reimagining of the writer’s life and work, in which the monster is real and not a creation of Shelley’s imagination. In fact, here the monster seems not really monstrous, but a rather benign if morose and malformed presence who reads to her at her mother’s grave. 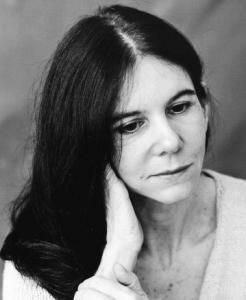 In this, her first novel, Sheck, who is quite a good poet, recasts Shelley’s “Frankenstein,’’ with the monster railing at his creator for forsaking him while also reading, or imagining, the letters of Mary and her half-sister Claire, as well as the letters of other characters, fictional and real. The monster, indestructible, lives on into the 21st century, consulting Wikipedia about various things as, no doubt, you will, too. We really only have his word for it that he is physically hideous as no one else in the book describes his looks - he’s in hiding as he reads to Mary. This is a serious book centering on loss: the monster’s loss of the father figure as well as the 19th-century friends he sees from a distance; Mary’s loss of husband Percy Bysshe Shelley; Mary’s and Claire’s loss of children; a story within a story that features Clerval, a character from Shelley’s novel, and a leper in Asia whose outcast status resonates with the monster. He is similarly puzzled as he reads the novel “Frankenstein’’ about why Mary turned him into a killer. She, intriguingly, wonders the same thing. Is it some Freudian impulse to banish the strange? Is he symbolic of other fears and desires? Sheck is also speculating here, it seems, on how artists turn their lives into art. But how much slack we should cut the author for her constant chewing on even more obscure philosophical bones will be up to the individual reader. Those looking for a crisper narrative will be bored; those who get off on philosophical speculating should find it refreshingly unconventional. Does this make me a monster? A Philistine? A . . . a . . . a journalist? Maybe. I know there are more things in heaven and earth than are dreamt of in my philosophy. I just don’t need to have them all in one book. Freelance writer Ed Siegel can be reached at esiegel122@comcast.net.